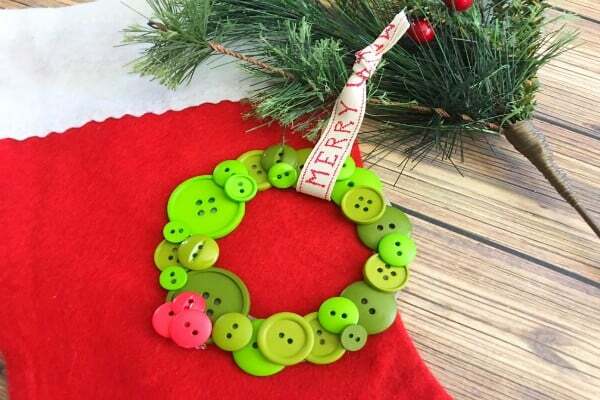 This sweet and simple button wreath ornament is a great project to make with the kids to use as a homemade ornament for your Christmas Tree, to tie onto a package, or take to the yearly ornament exchange. 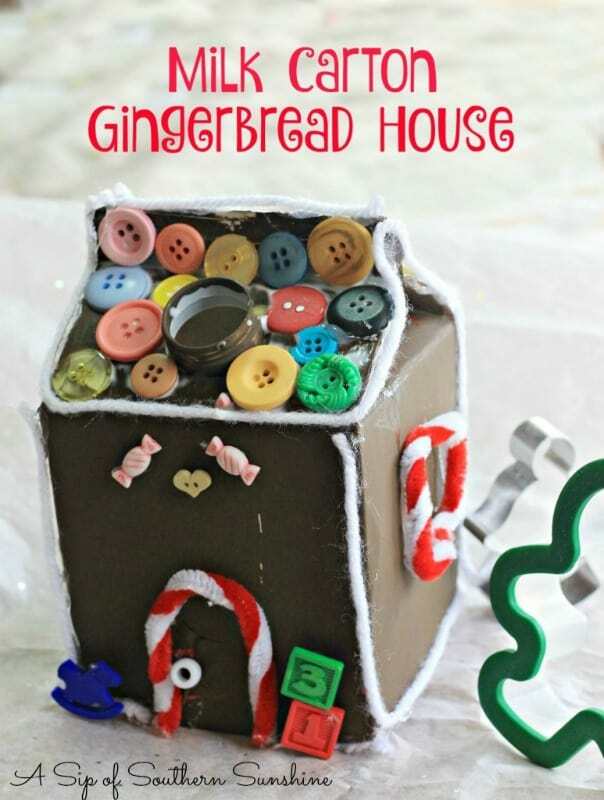 You just need a couple of craft supplies and about 15 minutes to complete it. 2. 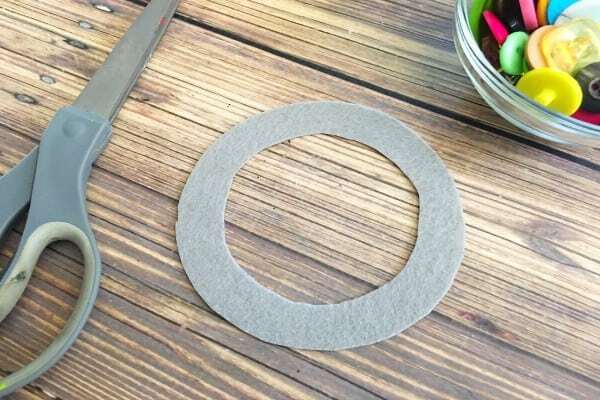 Now trace your Mason jar lid in the center of your felt circle and cut along both edges of the circles to make your wreath template. 3. 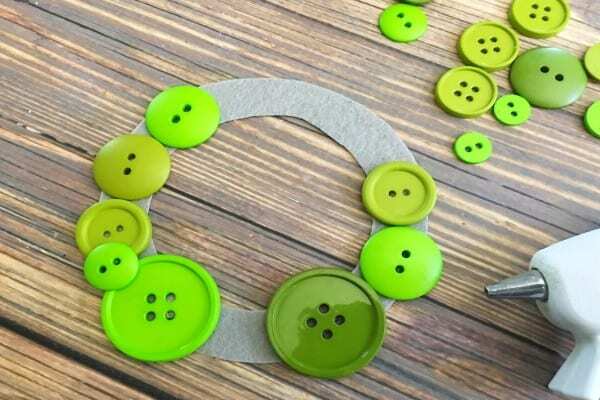 Start hot gluing your larger green buttons on to your felt circle until it's full. 4. 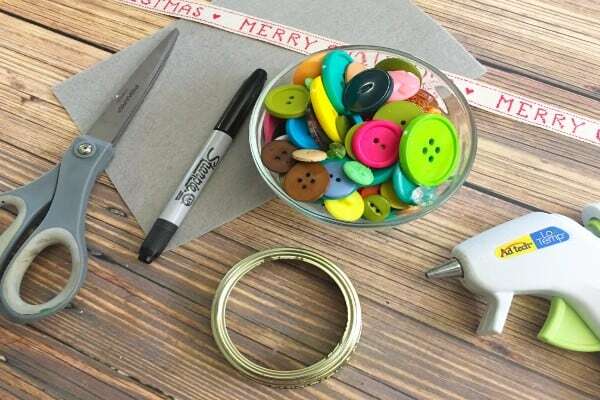 Now glue your smaller green buttons on top of your larger ones covering up any felt you can see. 6. 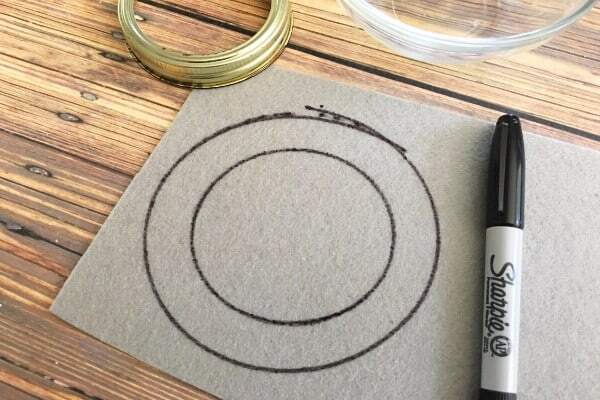 Cut a 8 inch piece of ribbon, loop it through the center of your wreath, tie the ends into a knot, and trim the excess ribbon off the top. 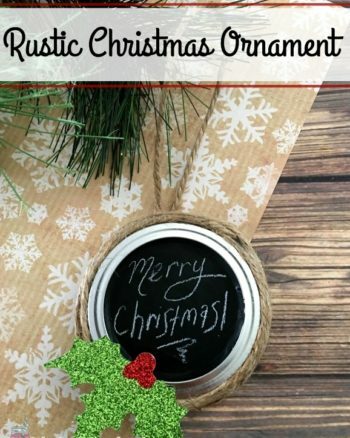 After you get through making your own simple button wreath ornament be sure to check out these Christmas posts. 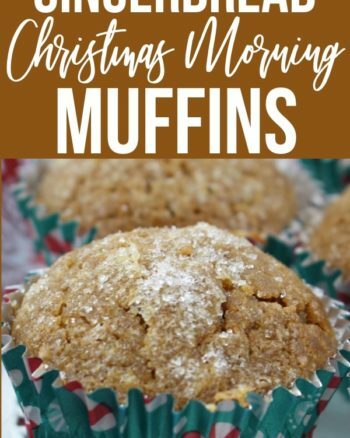 I think you will find a couple more that the kids will enjoy doing with you.